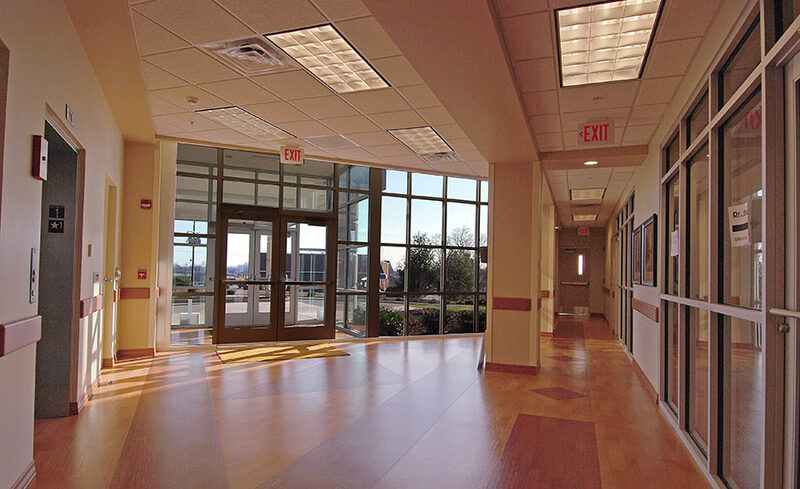 This facility is a two-story conventionally steel framed building physically connected by an enclosed breezeway to the existing patient wing recently constructed in 2006. 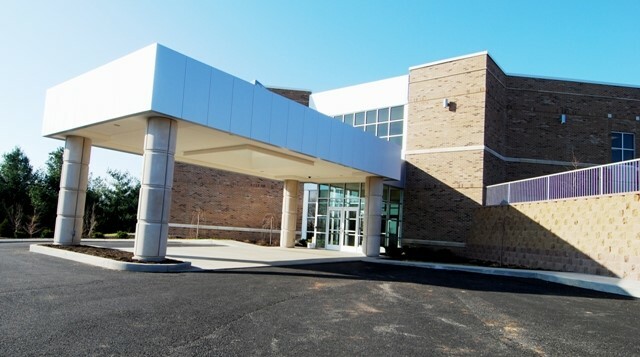 The exterior of the building is a veneer system with a combination of natural cut limestone and brick to match the latest Patient Wing Addition. The much needed space on the 2nd floor will allow the current hospital laboratory to be relocated and upgraded and will also allow the Physical Therapy department to relocate back onto the main hospital campus. In addition to the Laboratory and Physical Therapy, the new facility will accommodate Cardiac Rehab, X-Ray and 3 Physician Outpatient Suites.